The 2017 round of the Premier’s Science Fellowship Program will be in the medicine and health priority area related to human phenomics research. The Premier’s Science Fellowship Program was launched this May, at the annual Science on the Swan Conference. The fellowship will provide $1.5 million over four years to attract a leading researcher and a supporting early to mid-career researcher to Western Australia, to work in the area of human phenomics research and data analysis. Human phenomics relates to the interactions between the genotype, environment and lifestyle at a molecular level, and metabolic phenotyping of the human population. Together with correlation of clinical data, human phenomics research will lead to improved health care outcomes. Applications must be received by the Department at the Office of Science by 3.00 pm (AWST) on Tuesday 12 September 2017. Applications must be submitted by the WAHTN as the Lead Applicant, in conjunction with one or more eligible host organisations based in WA. Please contact Professor John Challis regarding any project ideas. 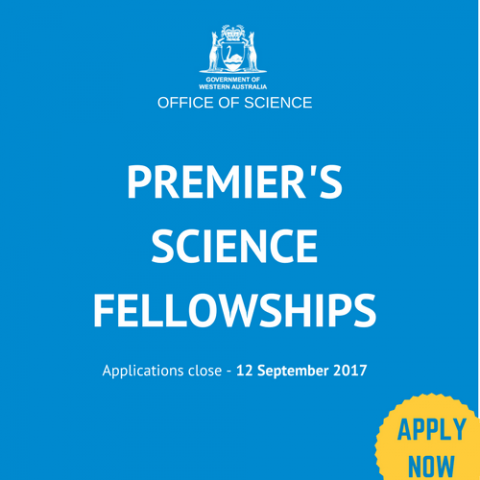 For more information visit the Premier’s Science Fellowship Program page here and/or read the media release here.